I'm a huge fan of reality competition TV shows, particularly RuPaul's Drag Race. It's a creative, funny competition between some wild personalities that never fails to entertain. But the All Stars seasons, particularly the most recent, have broken the competition in ways that turn the results from the best of the best to the winner of a game, and there's a big distinction between the two. If you're unfamiliar with the show, here it is. A dozen-ish drag queens start. Through a series of challenges playing to the strengths of a well-rounded drag queen, they're eliminated one by one until three (sometimes four) remain. Each episode, after a challenge, a panel of judges helps Ru select the top queen (who gets a prize) and the bottom two, with the rest being safe from elimination. The bottom two perform a lip sync and Ru picks who stays and who goes home. In each stage of the competition, the panel of judges and RuPaul select the winners and the losers. This is standard RuPaul's Drag Race. All Stars has been messed with from the start. 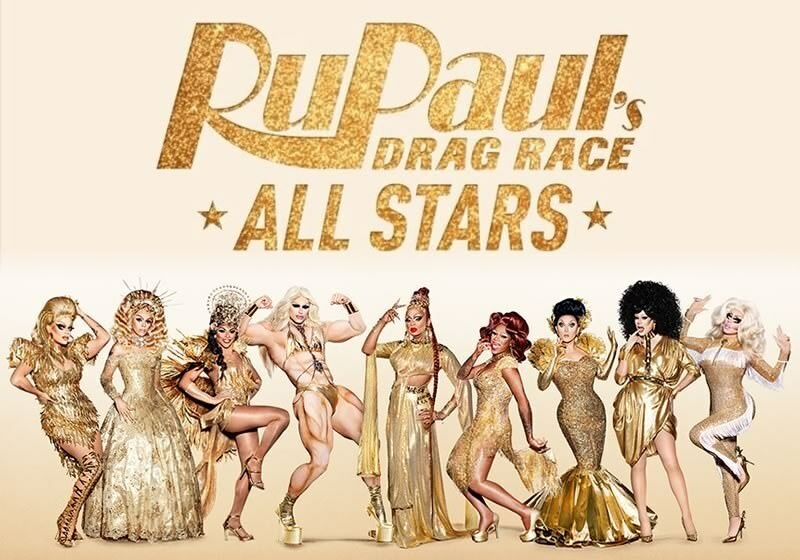 As an All Stars season, they start with queens from previous seasons of the main show that did not win the crown. The first season put every queen into a pair with a competitor. They both had to perform well to win challenges and it wasn't until late in the game when competitors were judged on their performance alone. All Stars season two course corrected by starting everyone out on their own, but it still changed the competition. Instead of Ru picking the winner and loser each week, Ru picked the top two and the bottom three (sometimes two). The top two would lip sync for the right to choose who went home. The bottoms pleaded their cases for staying in the competition to the top two. Ru still picked the top all stars all the way, and ultimately the finale winner, but it was from a selection whittled down by the competitors and not the judges. Throughout season 2, Roxxxy Andrews was consistently, repeatedly in the bottom. She was almost always up for elimination. She was consistently saved by her friends in the top. None of them would send Roxxxy home. They, arguably, sent home more talented drag queens, because of their personal biases. When Alaska won All Stars season 2, it could be said that she won it with an asterisk because she didn't have to compete against the best in the end; she just had to make sure none of the competitors sent her home. All Stars season 3 followed the same formula as season 2; winners pick who goes home. But it broke in three different ways. The first is that Ru offered an eliminated queen a way back into the competition. Every show does this, but it's a bigger mess when they were eliminated by someone else possibly still in the competition. There was a big segment where all of the (currently) eliminated queens met with the competitors still in it and they argued about who eliminated whom and why. It was very dramatic and exposed the tension inflicted upon them by this competition. In the end, Ru brought back Morgan McMichaels, the first eliminated queen. This is a problem. Morgan didn't compete for most of the show. She had to sit out because she was eliminated. Being brought back when most of her competitors were already gone meant she stood a greater chance of convincing the rest to keep her. Also, Morgan said from the start that she was going to eliminate her biggest competitors. Not the worst of the bottom queens, the best. She's not alone in this, as everyone is free to choose who they want to eliminate for any reason, but it puts a huge spotlight on the problem with letting competitors eliminate each other. Sometimes the best go home in a moment of vulnerability because they're the best. The second way in which the competition broke was that BenDelaCreme was allowed to eliminate herself. She was the obvious front runner, she won a lip sync late in the competition, and she sent herself home. Her reasons are inconsequential, but the result is that she was shaping the competition by having a strong presence at the start, and then she cut herself out, leaving everyone else to know that their victories are only viable in her absence. Ru consistently put Dela in the top two because she's the best. When she dropped out, it let everyone know, including Ru, that she had no competition. Anyone who wins season 3 All Stars has to know that if Dela hadn't quit, they probably wouldn't have won. Finally, and the worst way in which the competition broke, is that the final two queens were chosen by the eliminated queens. Bebe, Kennedy, Shangela, and Trixie all had claims to victory, but the decision on which of those two would lip sync for the finale was put in the hands of the people they eliminated. Shockingly, they chose Kennedy and Trixie. This is shocking because, while a strong competitor and a great drag queen, Kennedy won the least number of challenges of all of the top four. Shangela, who won the most, was eliminated by the queens who were no longer a part of the competition. For whatever reason, they chose Kennedy. The finale was between someone who was top 2 twice but won no lip syncs (Trixie), against someone who was top 2 once, won that lip sync, but spent most of the competition in the bottom (Kennedy). Trixie won the final lip sync. Trixie Mattel is an all star. She deserves to be recognized as such. But her win was cheapened by the changes to the competition that turned it from a best-of-the-best to a best player of the game finale. In the end, this was not the Olympics of drag. It was the Catan of drag. It was a game that could be lost by the best player for simply not having the personal connections to assure victory. While Trixie was crowned, no one achieved a victory because the best player could've been in the competition but they were recognized too soon and eliminated by those who could see it, and the front runner walked out. While I expect twists and surprises in these kinds of shows, I hope that the next season of All Stars sets out the rules fairly from the start and reduces the amount of input by the eliminated queens so that they have less influence in the finale. It's just not fair to anyone to call someone an all star if they're not competing on an even playing field.